As people continue to leave the typhoon-stricken city of Tacloban, many more people come in either trying to look for their loved ones or just simply trying to help. Docks and ports have been brought to its breaking capacity as trucks and other aid goods arrive, boarding Ro-Ros and light amphibian vehicles. “We’re using everything we’ve got. Boats, submarines, bancas – as long as it can traverse water, we’ll use it,” says Sorsogon Mayor Sally Lee. 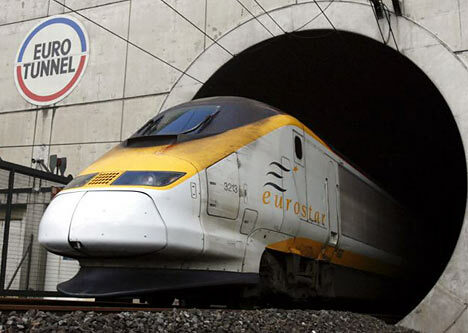 “This reminds me that if we only pushed through with our planned undersea tunnel connecting Matnog to Allen, much like the famed Channel Tunnel connecting Kent to Pas-de-Calais, all of these difficulties could have been avoided.” (the Channel Tunnel is an underwater tunnel beneath the English Channel connecting UK to France) “Alas, hindsight is 20-20,” deplored the Mayor. On the way to Tacloban (aboard a Huey) this reporter met Ms. Anne Tong Hors, a Filipina German who was part of the Red Cross contingency; and was told that she was making this trip as a pilgrimage of faith. Prodded further on what she meant by this, Tong answered, “Well, it’s obvious isn’t it? This is God’s will and if it is God’s will, then that means this tragedy is a blessing. We’re all so lucky to have been blessed by God,” and as if providence commanded, lightning streaked across the sky, barely grazing the Huey we were riding. Meanwhile, as reports come in that a deluge of refugees will soon be arriving in Manila, local governments in the nation’s capital have prepared both jobs and housing for the poor refugees. Former Quezon City Rep. Annie Rosa Susano even texted Neal H. Cruz of the Philippine Daily Inquirer assuring him that she’s offering 10 hectares of her family’s property in Montalban Rizal as a site for temporary tent cities or bunkhouses. Market stalls for use in livelihood are also awaiting the refugees, free of charge! Christmas it seems, have come early to Taclobanons, courtesy of Yolanda. Hearing the news, informal settlers in Quezon City were disappointed. So as the exodus to Manila begins, so does the pilgrimage to Tacloban start. photos courtesy of US Air force, dailymail.co.uk, wonderopolis.org, and okeanosgroup.com, respectively. no copyright infringement intended. pls message me for takedown.